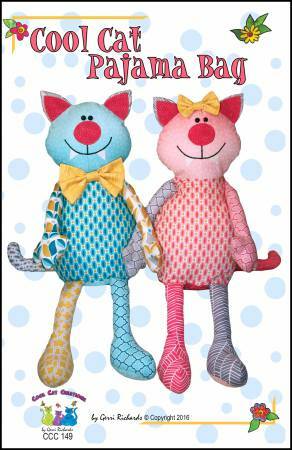 Finished size: top of head to bottom of feet is 24.5 inches Store your pajamas in this sweet kitty cat. mMtch your bedroom decor! Technique used is general sewing. Designed by Gerri Richards.